Discussion in 'Playback Devices' started by Todd Erwin, Sep 25, 2018. I swore I would never buy another 4K Roku box due to all the issues I've encountered with the 2016 Ultra model, but I need another Roku box for a small display I want to install in our basement recreation room (I need a Roku there for the Xfinity app to get cable TV). I was thinking about adding another Apple TV 4K to our master bedroom, but that 4K Premiere at $40 is too attractive a price to pass up. I can connect it to the Samsung 4K display in our master bedroom and then move the non-HDR older model Premiere currently in that room to the basement. I pre-ordered one, but just cancelled the order. I'm going to try the Amazon Fire TV 4K with their $12 price after trade-in first. The Fire TV will replace a Roku Ultra in my main setup, which I am only using for Amazon anyway -- all other streaming is through an Apple TV 4K. The Ultra will get moved to the master bedroom, and the Premiere from the bedroom to the basement. I feel much better not giving Roku more money after all the issues I've had with the Ultra. It's working right now, but it's like playing Russian Roulette every time a new firmware update is released. It's funny how I never had your issues. If you check the Roku thread of that "other" forum, you will see that some lucky people never had any issues with the their 2016 Ultras or Premiere+ units, while others have been hit with numerous bugs. Unfortunately, I am in the latter group. My 1080p models have been trouble-free, but the 4K Ultra has been hit with one problem after another - - and I am on my 2nd unit. The first one got bricked after a firmware update, and I had to pay $15 to ship it to Roku in California for a warranty replacement. Sony, on the other hand, paid for shipping both ways when my X800 UHD player needed to be replaced under warranty (it stopped recognizing UHD discs). Since I am only using the Ultra for Amazon in the main system now (Apple TV has inferior audio for this app), the Fire TV should hopefully work as a replace, and I hope the Ultra will continue to work in our bedroom. I need Roku units in our other rooms for the Xfinity app so I don't need to pay Comcast for cable box rentals. That app is not available on other brands of streaming boxes. Well, I ended up re-ordering the new 4K Roku Premiere because the Amazon Fire TV trade-in deal didn't work out. The box showed up last week, and it worked fine for 1080p material, but I had issues getting the device to recognize the 4K HDR10 capabilities of the Samsung MU8000 display in our bedroom. The issue ended up being with the Samsung display -- there is an option buried in the setup menu where you have to enable HDR capabilities for each input. Why this isn't just on by default is a mystery to me -- it's a 4K display, so why would you want to disable that if the input is capable of processing HDR? Anyway, the Roku seems to work properly with the three streaming apps I have tried -- Amazon, Vudu and NHL.tv. For $40, if you don't need Dolby Vision, it's tough to beat this device for the price. It even came with a high speed HDMI cable that works for 4K + HDR10. I might be adding a Roku this year to the new 4K HT setup. My only criticism is that none of the Rokus have a second HDMI output for sound only ( like my Sony X700 4K Blu player) to my now obsolete Denon X2000. Of course that hopefully will be upgraded soon as the old Denon won’t pass HDR and DV information. Any advice welcome as this is a first for me. Neither do any of the Amazon Fire TV devices. You may just want to bite the bullet and upgrade the receiver, too. The only other possible option would be to connect the Roku to the TV and try using ARC. It is possible, as I have done this, but ended up just upgrading to a newer receiver after all the handshake and other issues I always seem to have with CEC and ARC. You need to upgrade that receiver. Kyrsten Brad and JQuintana like this. None of the current model streaming boxes from Roku, Amazon or Apple have dual HDMI outputs. My 2016 model Roku Ultra has a secondary optical digital output for audio, if you can find one somewhere. The current Ultra model dropped the optical output. Your best bet, as already suggested, it to go ahead with your planned AVR upgrade. And apparently, Amazon Fire TVs have a bug that will not allow Atmos when connecting to an AVR. Scott, can you confirm if the Premiere's remote is IR or RF based? My wife might use the Roku in the living room more often if she could control it from the Harmony 650. The new Premiere's remote is IR based. It will work fine with your Harmony 650. I use a HDFury AVR Key to separate the video and audio coming from my nVidia Shield TV. It splits the full UHD video to my TV while sending the sound (and a lower res picture) to my old Denon X4000. Plans underway when the Christmas funds are released. Either the Denon AVR-X3400 or AVR-X4400 would nicely fill my needs but I’m really wanting the X4400. As for a Roku, not so sure now that I even need one now that my Sony UBP-X700 is up and running nicely. Looks like the X700 can handle all 4K digital streaming & download work (correct me if I’m wrong). Opinions? I prefer a dedicated streaming box instead of using the built-in apps from our Sony X800 UHD player or display. With a streaming box such as a Roku or Apple TV, you will get a lot more streaming apps, and those apps will continue to be updated over time. Using a disc player or smart TV for streaming will limit which apps are available, and those apps will tend to not get updates as often and will eventually be abandoned by the manufacturer of the disc player or display. At $40 for a 4K streaming device from Roku, cost should no longer be much of a concern with buying a dedicated streaming device. The new Roku Premiere even comes with the proper high speed HDMI cable needed for 4K + HDR10 video, saving the buyer another $6 or $7 dollars. ManW_TheUncool and Kyrsten Brad like this. How many different streaming boxes are there? Roku and Amazon have half a dozen versions and several versions of the Atv. Some offer things the others don’t like Dolby Vision and maybe apps that are on one but not the others. Well, I went ahead and picked up the new Roku Ultra package for $48 at the Cocoa, FL WalMart Black Friday sale. It was actually $1 cheaper than the Roku Premiere +. Of course I don’t get to install it until Christmas Day. Just as well as that us when I get the new Denon AVR-X3400H. The first movie I stream on the Roku probably will be the 4K edition of Its A Wonderful Life (1946) in glorious B&W since no colorized 4K Edition appears to be coming. Rats as I’d love a new well done 4K color version. For those of you who would like now to hang and burn me in effigy, wait till late next year for my next Caribbean cruise. I have a Caribbean witch doctor fabricate some voodoo dolls of me and have them sent to you. So says the HTF Film Colorization Heretic. Current 4K models are Ultra, Premiere+ and Premiere. The Ultra has headphones for the remote, better Wifi radio, an Ethernet port, USB port, and a voice remote. The Premiere+ and Premiere are very similar, with a lesser Wifi radio -- the only difference is the Premiere+ has a voice remote versus the simple IR remote of the Premiere. Current 1080p models are the Express (HDMI-only), Express+ (includes analog audio/video for older TV's), and the streaming sticks (no HDMI cable needed, remote is RF instead of IR). The Roku units are less costly than Apple's products. The interface for Amazon and Vudu is better, as you can buy/rent material from the Roku (Apple will not let you buy programs from any apps except their own iTunes store). 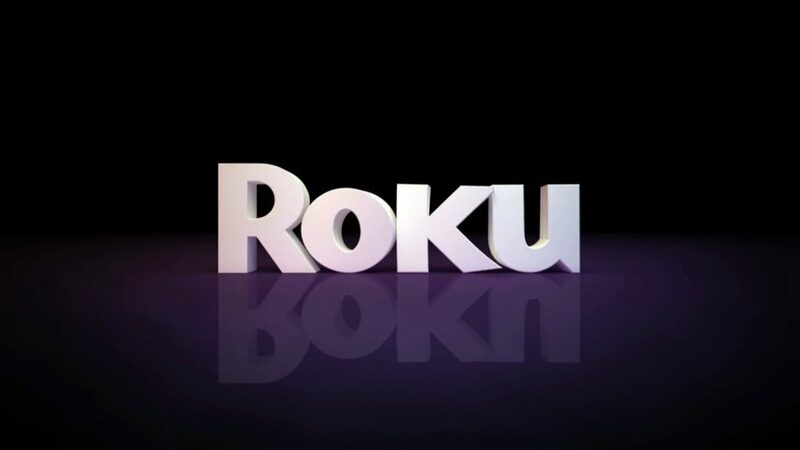 If you have Comcast cable, there is an Xfinity app available to allow you to use your Roku as a cable convertor box, thereby eliminating a $10 rental fee. The app is not available for Apple or Amazon. The Roku 4K models do not support Dolby Vision -- only HDR10. Current models are Apple TV 4K and Apple TV (1080p). There is a 32GB and 64GB version of the 4K models -- but the added memory isn't needed for streaming. Apple's models are much more costly. Apple TV opens up access to buying content from the Apple iTunes store. There are some great prices on content there, and anything you buy on the Apple store will automatically be upgraded to 4K when it becomes available on their site. If you like classic films, the TCM app is available on Apple TV, but not Roku (I think it's available on Amazon's products, too). The Apple 4K models support both Dolby Vision and HDR10. Personally, I own one Apple TV 4K (32GB model) for our main home theater, and own 5 Roku units -- Ultra 4K for the main home theater, 4K Premiere for the master bedroom, and Express units for three other displays.